For an alternative to Thai take-out, try this fun recipe! 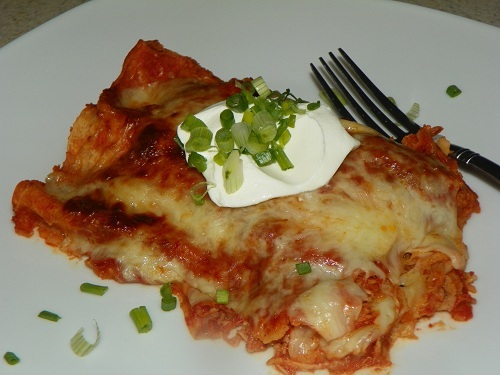 I discovered this delicious dish just the other night and since I made it that first time for my family, it has become a smash hit - we've had to have it two times since! I especially love serving the whole thing in one bowl. I won't promise you it's one of my "easy ones" - it's not! Little more advanced and time-consuming, but worth every minute of effort! Mmmmm! So, are you ready to try this FRESH new take on a Spicy Thai Chicken Bowl? Preheat oven to 425 degrees. Heat a large skillet over high heat and add a swirl of canola oil. Sprinkle the chicken thighs with salt and pepper. Carefully lay the thighs, skin down, into the hot oil and cook for 3 minutes or until skin begins to brown. Remove chicken, and place on a paper-towel lined plate to drain. Meanwhile, line a cookie pan with aluminum foil and place chicken, skin side down, on pan. Place pan in oven and bake for 4-5 minutes. Remove pan and using tongs, turn chicken skin up and place pan back in oven for 2-3 minutes (or until cooked through.) Remove chicken from baking pan immediately and place on a cutting board to set for about 10 minutes. Just before serving, slice into 1 inch pieces. While chicken is setting, make sauce (instructions below) in a blender and set aside in a dish. In the same large skillet over medium to high heat, add a Tbsp canola oil and swirl in pan. Add in chopped squash and baby Bok Choy and sauté for about 3 minutes or until crisp-tender. Drizzle the soy sauce over the veggies. Place a helping rice noodles, veggies and several strips of crispy chicken thigh into a bowl, then drizzle with blender sauce and squeeze lime over dish. 1. Take all ingredients and blend in a blender or food processor until completely blended and smooth. 2. Pour into a dish and set aside. Let us know how you like this and our other FRESH recipes in the comments below!